As you might have noticed, I had some technical problems with my blog a few weeks back. Every time I tried to access my blog, a google advisory was shown informing that my blog had malicious code in it and the security of my Wordpress installation has been compromised. Some blogs which had (back)links to my blog had shown a warning saying that my blog may be an intermediary to malicious code distribution. My blog showing that advisory was annoying but my friends' blogs showing it was embarrassing and down right frustrating. I had to do something about it and do it fast. I didn't know how to fix it at the time. Hence, I took my blog offline in attempt to mitigate the problem. After some checking and a lot of googling I came to know that some (a lot actually, about 1800) of nasty comments have found their way in to my blog, and these comments had spam links all over them. I talked to some "tech" friends of mine and found out that there was no easy way to fix this. I had to manually go through all the comments in my blog and remove the suspicious ones. Then, I was told, to go through all the files on my server to find anything that should not be there or if anything had been changed. That did it, I was not going to scrutinize every file on my server. Mostly because I didn't know how to do it. So, loosing a little bit of faith in Wordpress and for the first time reading about their security issues, I decided to abandon Wordpress and move to something simpler that did not need active moderation or maintenance. I considered Tumblr, Wordpress.com and Squarespace, but I migrated to Blogger. I started this blog on Blogger, but was soon wooed away to Wordpress by the cool themes and the promise of having total control over my blog. I forgot that power and control while being exciting to some can also be a liability to others like me. Wordpress is amazing and much more flexible if I wanted to take on the extra burden of paying and coordinating web hosting, be on top of security updates, and fix all broken plugins every time I updated to a major release - this is to be expected in any self run solution I guess. But you soon get tired of it. It is not fun, to say the least. When I first started using Blogger I had my separate login for Blogspot. Now, Google has taken over and my Blogspot account has been claimed and linked to my Google account. Blogger has improved a lot since then. They have good support, many third party widgets and real time statistic. They even support custom domains now. Add to this the simplicity and ease of use and we get a good blogging platform which keeps on improving backed by a large and powerful company. Also, getting on Blogger means I can let go of another username/password, which I had to remember and keep safe. Its a good thing these days. Now that my blog is back up on Blogger, it is time to act on my perpetual thought of updating this blog in a regular fashion. This blog has nearly died many times. But I always come back and try to revive it somehow. Its hard to keep blogging when there are so many social networks that you are expected to be on and update regularly. But I will find time. At least, thats what I say to myself every time. I apologize to all my readers and to people who have been shown my google advisory on their blogs. Google has a one of the best spam protection around and so I hope that this move would rectify that problem and make life a simpler. 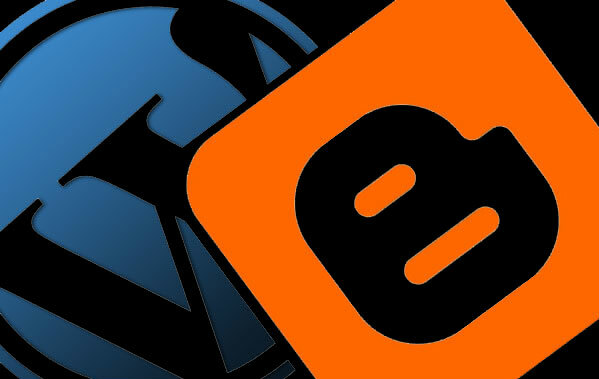 In the arena of hosted blogs, most seem to like Wordpress, and some are fervent proponents. Well, I'm on blogger for the time being, despite the technical benefit. hey bro, I was away from blogging for about a year and I found my comment column flooded ... now only registered users can comment on mine!! Did I do the right thing? Mr. Tech please advise!!!! Bro, you have changed your style of writing. what happened? I thought the Akismet spam comments filter plugin for hosted Wordpress blogs were quite good? ?